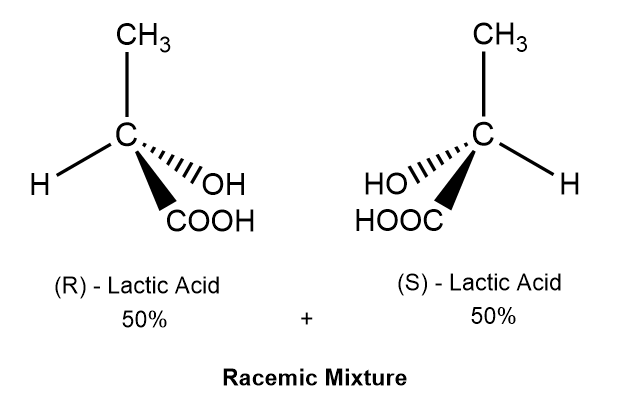 A racemic mixture is a solution containing equal amounts of a pair of enantiomers. The racemic mixture produces a net optical rotation – of plane polarized light – of zero degrees. This is because the mixture contains equal amounts – equimolar mixture – of both enantiomers that have opposite rotations.